An interesting email question came in about MIMO. The reader wanted to know what it was and if these broadband routers could help solve his wireless situation. Defining MIMO is the easier part. The harder part is finding out if all MIMO routers should be considered. MIMO technology is used in broadband routers and cell phones. MIMO (pronounced my mo) is an acronym. The letters stand for Multiple Input Multiple Output. 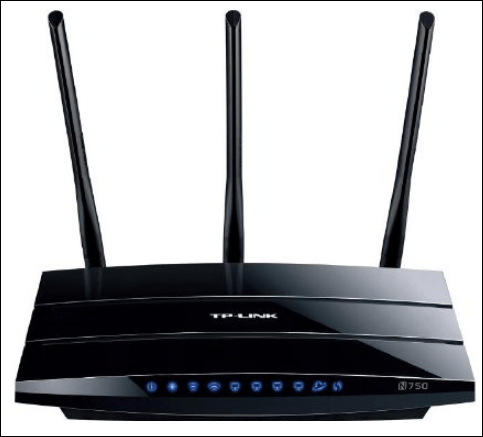 These routers use multiple transmitters and receivers. Instead of sending one data stream, multiple data streams are sent in parallel thereby improving the data rate. You might think of a MIMO router as a multi-lane highway rather than a double lane road. Instead of having one car or transmitter (radio), you have many. One characteristics sign of a MIMO router is multiple antennae. In some cases, you can’t see the antennas as they are internal and enclosed in the router. Other devices have prominent external antennae that look like they’d fit on the set of a science fiction movie. There are current MIMO wireless routers that use the 802.11 standard. This option may be a more practical for people who are having connection issues caused by distance. Companies such as Belkin, Linksys, Netgear and others offer wireless router solutions with MIMO. You’ll see labels such as RangeMax, Wireless G Plus, and SRX (Speed and Range eXpansion) appear as part of the model name. Each term reflects a specific company’s implementation. When you factor in antennae technology, chip sets and other technical specifications, you can have substantial differences between manufacturers. Most people I know who tried these MIMO routers had favorable opinions. Although the results varied, the people who paired devices from the same manufacturer and same technology fared well. Friends who tried to mix and match devices had more problems, but this could be because they had to deal with two different companies for support. I can relate to this last point as I once returned a wireless notebook card so I would have the same manufacturer for my router and wireless card. Before my switch, each company claimed my problem was caused by the other company. It’s best to research what type of equipment can be paired to the MIMO router and how it will impact performance. Another item to note is the stated data speed and distance claims. It’s easy to get seduced by claims of a product being up to X times faster. Certainly there will be gains, but I’ve not met anyone whose results were as positive as the manufacturer stated. This is one area where you might want to find a good comparative review by some of the computer magazines or websites.